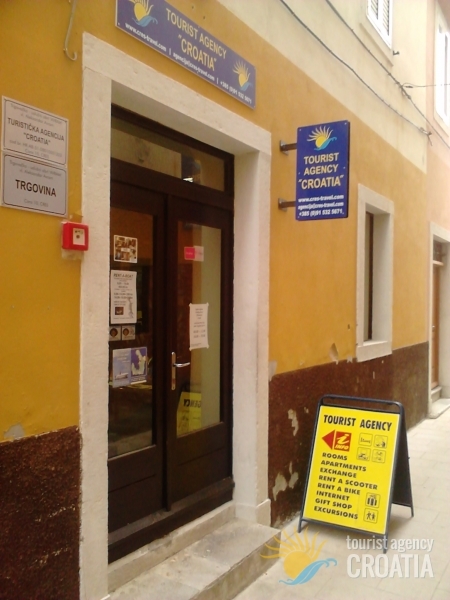 Tourist agency Croatia is situated in the city centre Cres. Successfully operating for over 15 years and offers a wide range of services, to make its guests' stay as enjoyable as possible. EXCHANGE SERVICES and many other activities. We co-operate with private households on the Island Cres and we have over 700 beds at our disposal. Our guests can, therefore, choose the location in town Cres or other small places on the island: Orlec, Valun, Orlec, Beli, Zbičina, Lubenice, Filozići, Martinšćica or Miholašćica, as well as the type of accommodation (a room or an apartment) that best fits their needs and wishes. 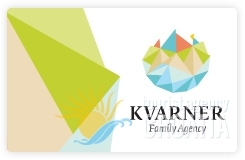 Our tourist agency offers you a variety of services so you can spend enjoyable and fulfilled holidays. We offer you various excursions; bikes, cars, quads, boats and motor scooter rental and many other activities. We offer rent-a-boat Cres, charter Cres - 3 inflatable boats, Saver MG710 with Suzuki 200 hp,Lomac with Yamaha 70 hp and Marlin 630 with honda 150 ps three motorboats Saver (90-140 PS), and speedboat Blumax with Suzuki 100 hp. Beautiful beaches, places and historic locations are the pearls of our island. Therefore, on the list of our excursions you can find Lubenice, Beli (well-known Eco-center with many eco-tracks) and all the other places on our island. We organize excursions to Plave grote (Blue cave) and Valun or St. Blaž beach. Tourist agency 'Croatia' will provide you with all the necessary information and organize your free time according to your wishes. We wish you a pleasant stay on the Island Cres!